Planning a trip is half the fun for me and I have already started thinking about attending my NARP meeting in Washington next April. There will be a board meeting, two days of general sessions and, in between, everyone goes up to The Hill to meet with our various senators and House members to discuss whatever legislation may be pending that’s good or bad for passenger rail. For that trip, the only inflexible dates are the meetings in Washington, April 23-26. So now the question becomes: Where could I stop on the way there or coming back that would be interesting or fun? I ask that question every year and I confess the first thing I always do is check to see where the Red Sox are going to be playing either just before or just after our meetings. That often dictates my itinerary. This coming year, to my delight, I discover that the Red Sox will be playing a three-game series in Toronto on April 18, 19 and 20. This is the best possible news for several reasons. 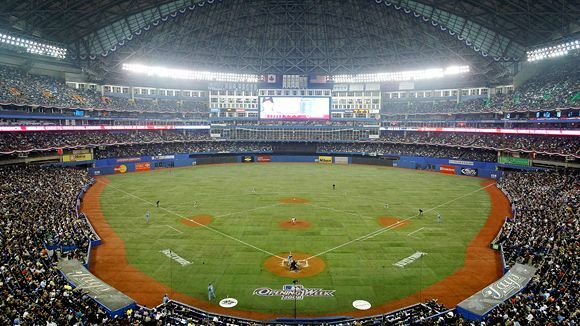 First, because the Toronto Blue Jays play in the Rogers Center, where the ballpark has a retractable dome. That means those games can be watched in comfort, without concern for cold or rain or both. And that’s an issue in Toronto … in April. 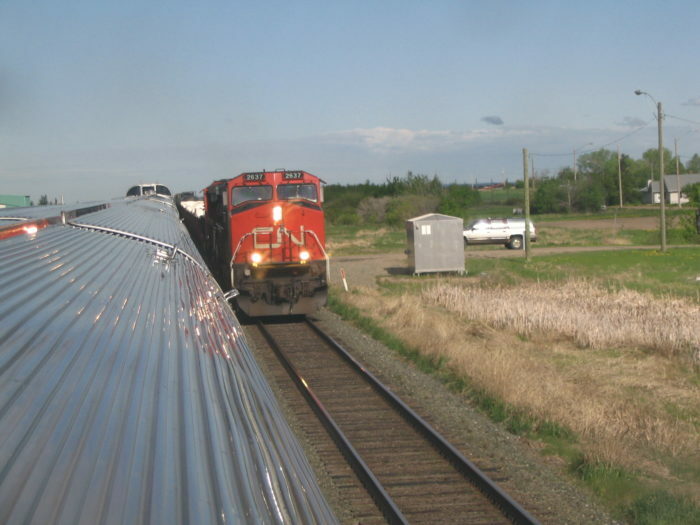 A great view of a passing CN freight from one of the dome cars on VIA Rail’s premier train, The Canadian. Second, my favorite way to get to Toronto from here is taking the four night ride from Vancouver aboard VIA Rail’s wonderful iconic train, the Canadian. Spectacular scenery, excellent food, and always interesting fellow passengers. But wait! A possible hitch: In April, that train only operates two days a week. A quick check of the VIA timetable and—Eureka!—train #2 will deliver me to Toronto’s Union Station on Tuesday morning, April 18th, and Game One of that series will begin at 7:00 that evening. It’s amazing how often my trips just seem to plan themselves. Previous Well, THAT Didn’t Take Long! NextDealing With Racism, Even In Hawaii.